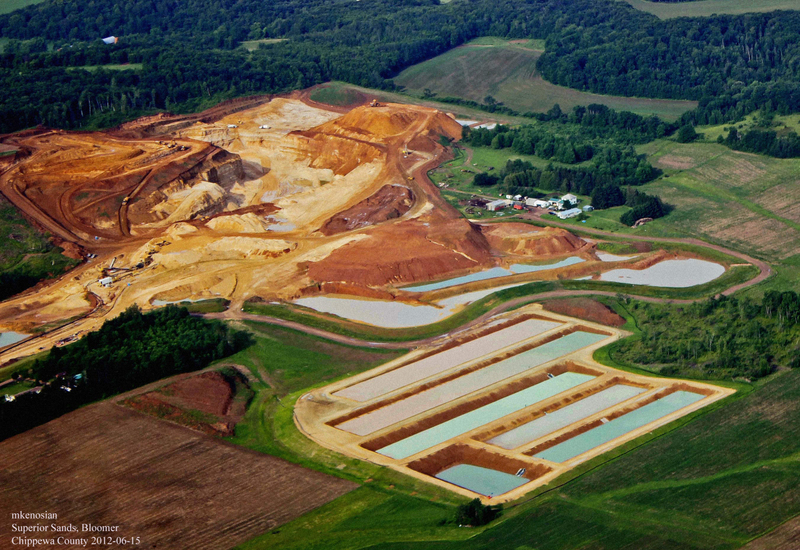 Frac Sand Mines and Plants are destroying hills, forests, farms and prairie. These companies say that they will reclaim the land (the word “restore” has been used by promoters) when they are through shipping all this sand out of state. Either word is an obfuscation. The forests and hills along with their previous animal denizens will be gone forever. At best we will be left with shallow lakes and some non-native grass. A real question is who will maintain these holding ponds when the sites are “reclaimed”? At worst the LLC’s (Limited Liability Companies) will declare bankruptcy and leave us with the many environmental disasters shown in the Fly-Arounds and 360 degree interactive panoramic photographs viewed from the dropdown menus at the top of each mine page. Please pass this web site www.lookdownpictures.com along to at least one friend. Better yet, Facebook your friends. Also if you want to be notified when new mines or updates occur to this site E-Mail hank@lookdownpictures.com.